Improve your Spear of Leonidas by upgrading it in Assassin's Creed: Odyssey. 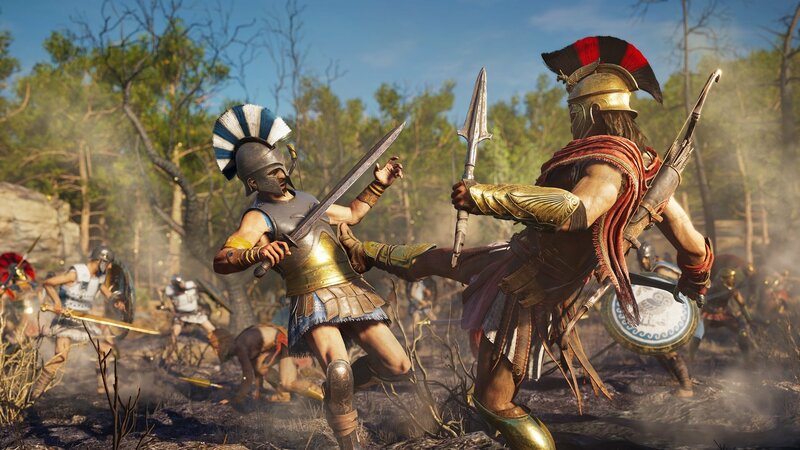 In Assassin’s Creed: Odyssey, players have been wondering how to upgrade the Spear of Leonidas. As one of the first weapons you unlock, you’ll eventually need to upgrade it as you level up in the game. Not sure how to do this? We’ve got you covered! Below, we put together a quick guide on how to upgrade the Spear of Leonidas in Assassin’s Creed: Odyssey. As you progress through the game, you'll want to take the time to upgrade your Spear of Leonidas in Assassin's Creed: Odyssey. In Assassin’s Creed: Odyssey, one of the first weapons you have access to is the Spear of Leonidas. To upgrade it, you’ll need to pursue members of the Eyes of Kosmos. By hunting these cult members down, you’ll be able to accrue Artifact Fragments. Note that not all Eyes of Kosmos members drop Artifact Fragments. You can check which cult members reward Artifact Fragments by navigating to the pause menu and opening up the Cultist section. Here, you can view what different cult members have on them. If you can’t view a cult member or members, you’ll need to go out and hunt down more of them to expand this section. Hunt members of the Eyes of Kosmos to earn the Artifact Fragments needed to upgrade your Spear of Leonidas in Assassin's Creed: Odyssey. Many cult members can be found simply by running through the game’s main campaign, though others you can track down on your own. With a supply of Artifact Fragments on hand, you’ll then need to travel to the Forge of Hephaistos to upgrade the Spear of Leonidas. This Ancient Forge can be found on the east end of your map at the top of Andros Island, as indicated by a gold triangle. You’ll discover this location naturally as you run through the campaign, and once you discover it, you can fast travel there whenever you wish to upgrade your spear. As stated above, to upgrade the Spear of Leonidas, you’ll need to spend Artifact Fragments, with the cost increasing each time you upgrade. Right now, the only way we’ve been able to gather Artifact Fragments is by hunting down members of the Eyes of Kosmos. Of course, we’ll be sure to update this guide if we find other ways to get Artifact Fragments in Assassin’s Creed: Odyssey. 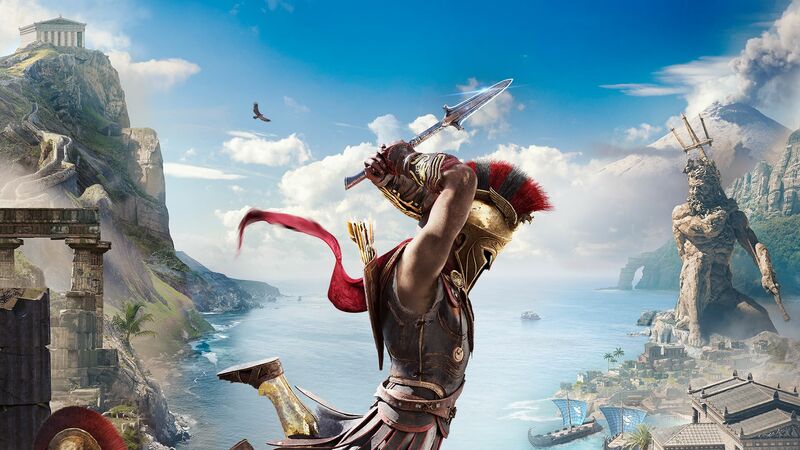 For more on Assassin’s Creed: Odyssey, be sure to check out some of our previous guides including how to get olive wood in Assassin’s Creed: Odyssey, how to craft arrows in Assassin’s Creed: Odyssey, and what Misthios means in Assassin’s Creed: Odyssey. We've also got plenty of Ainigmata Ostraka riddle guides to keep you busy too! By reading through this guide, you should now know how to upgrade the Spear of Leonidas in Assassin’s Creed: Odyssey.